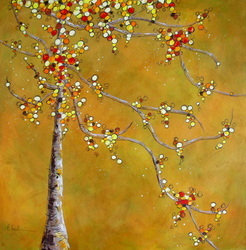 There is a common tree found throughout North America that has nearly rounded leaves with a sharp point at the end. 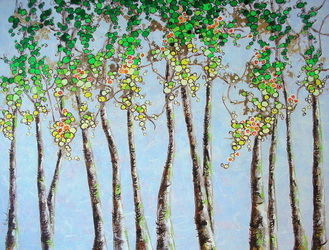 The trunk is scarred with dark notches and lines. 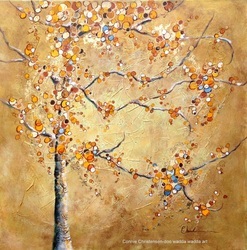 In the wind the leaves flutter furiously giving the tree the name 'Trembling Aspen'. 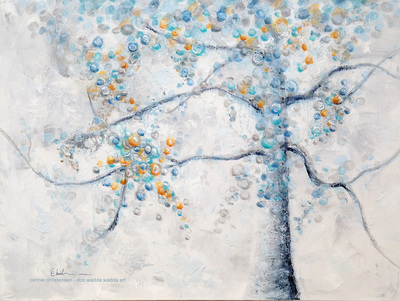 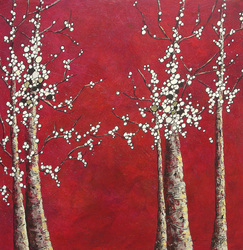 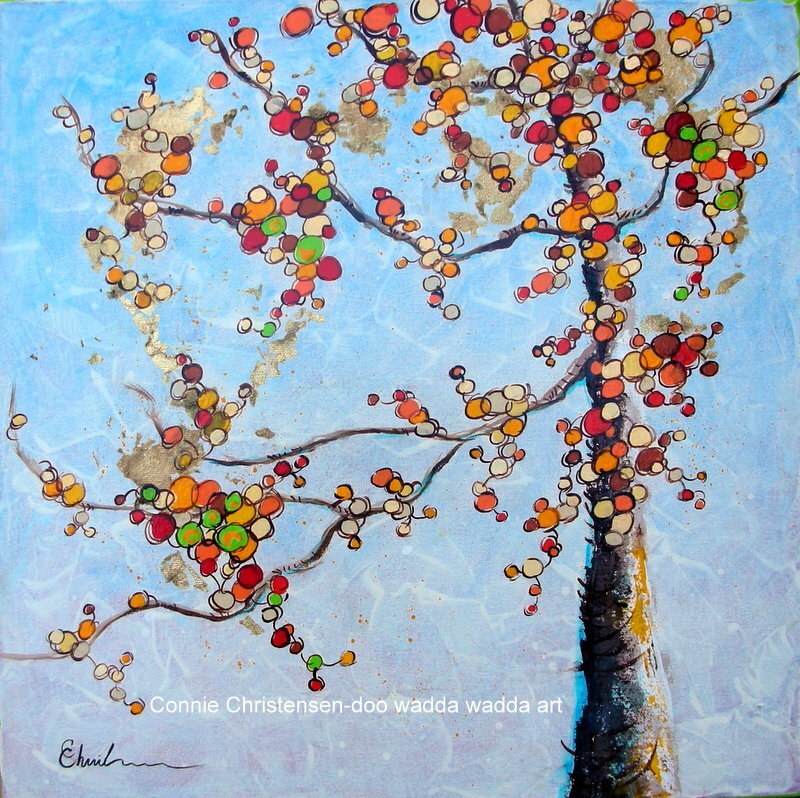 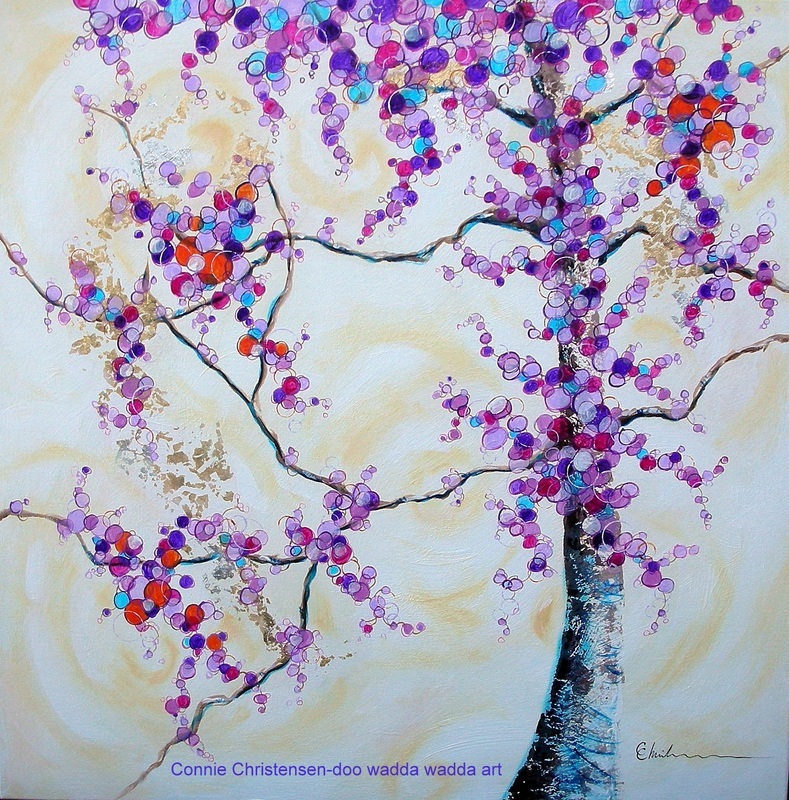 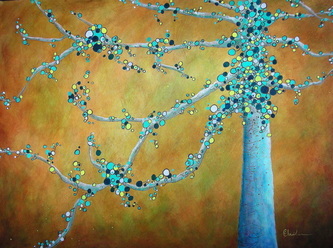 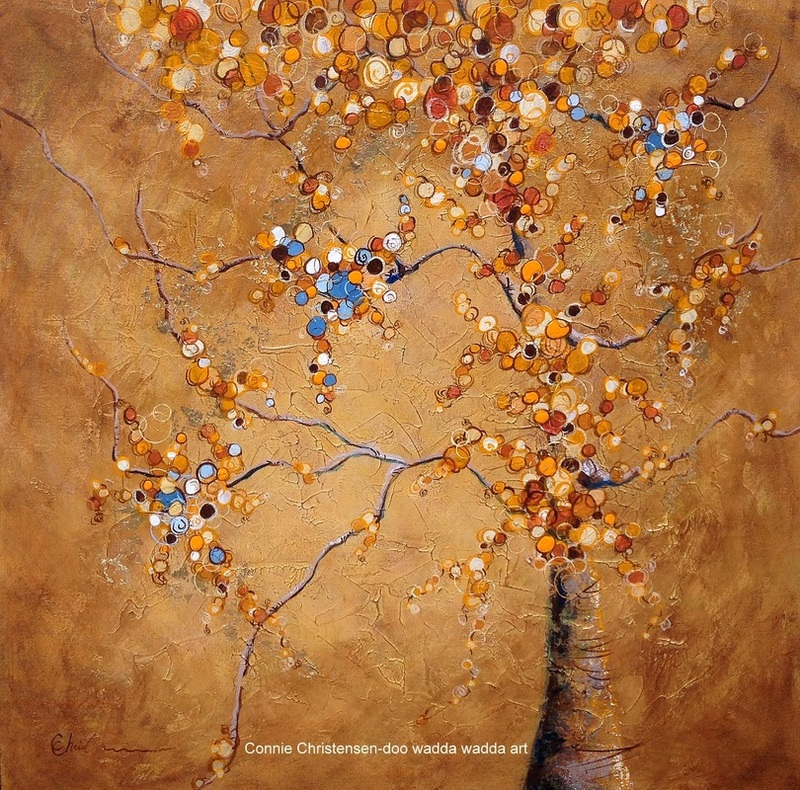 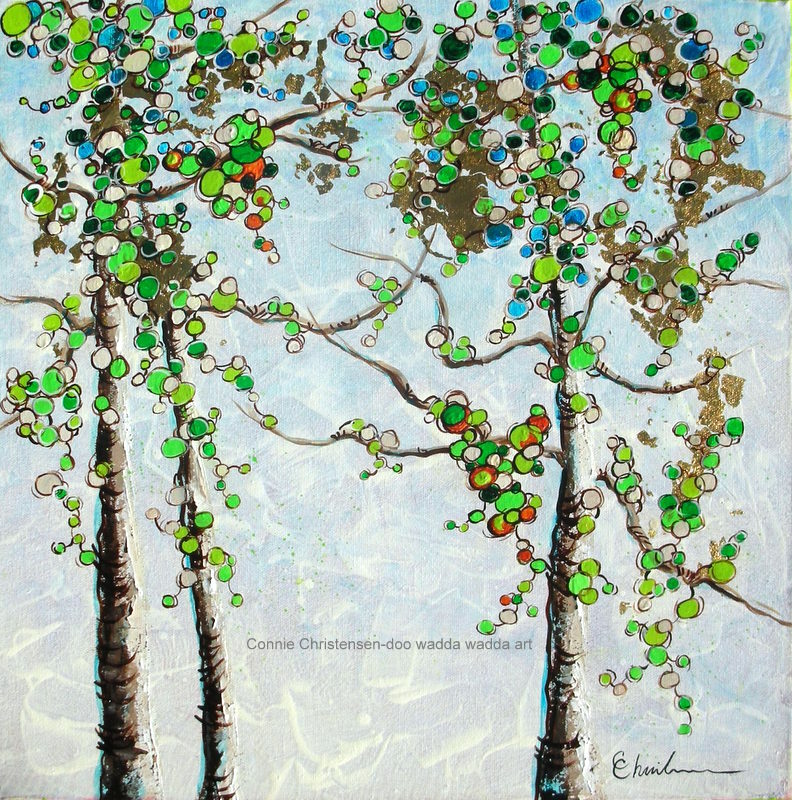 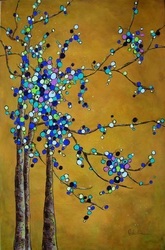 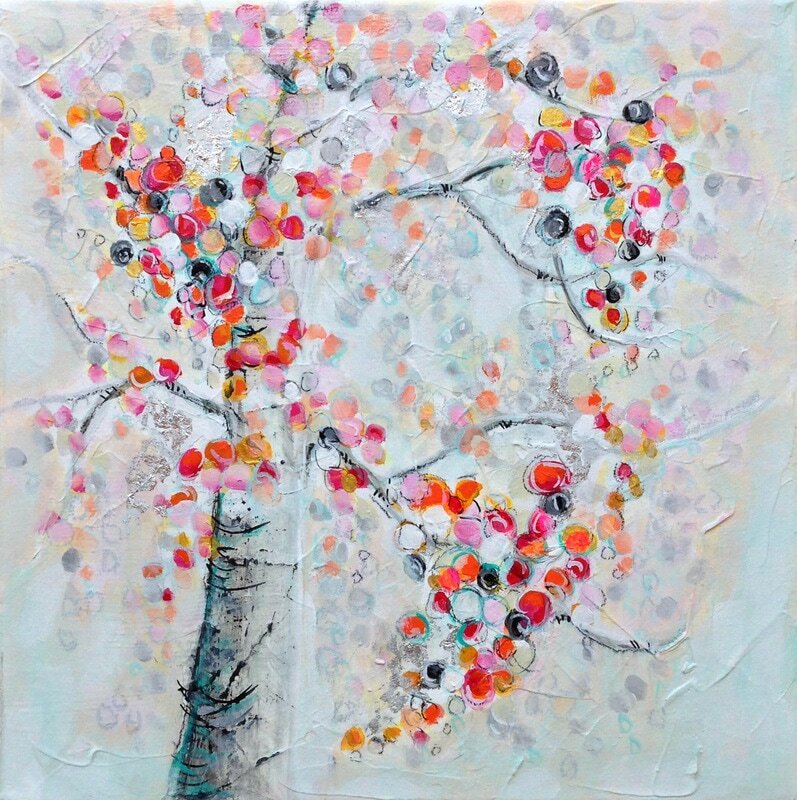 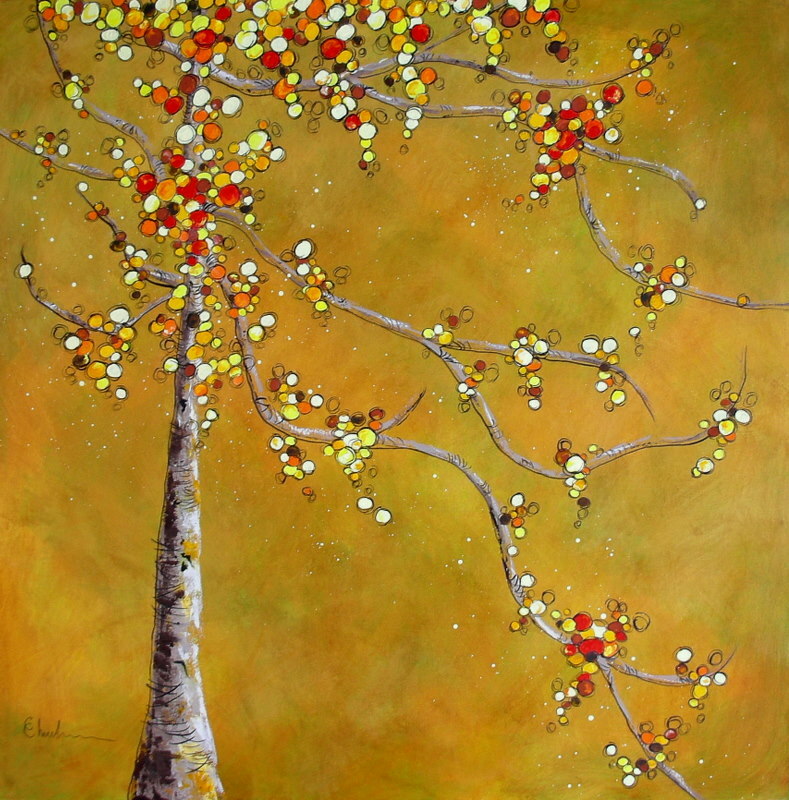 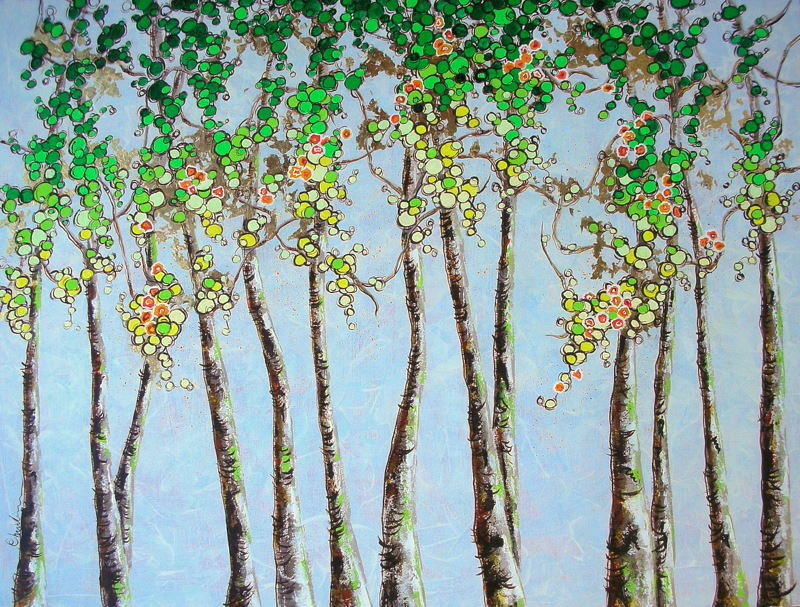 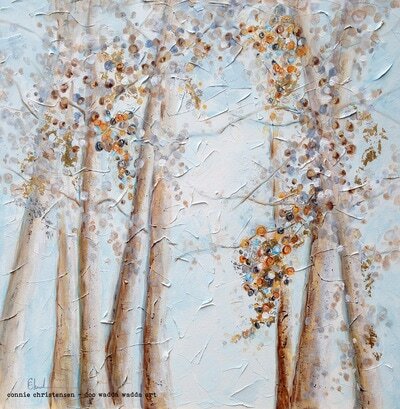 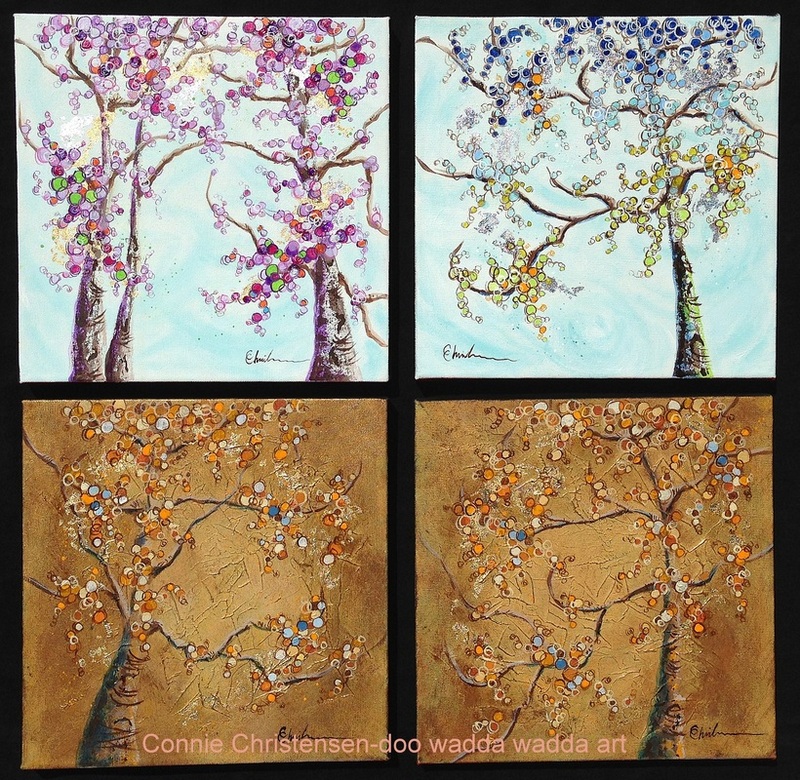 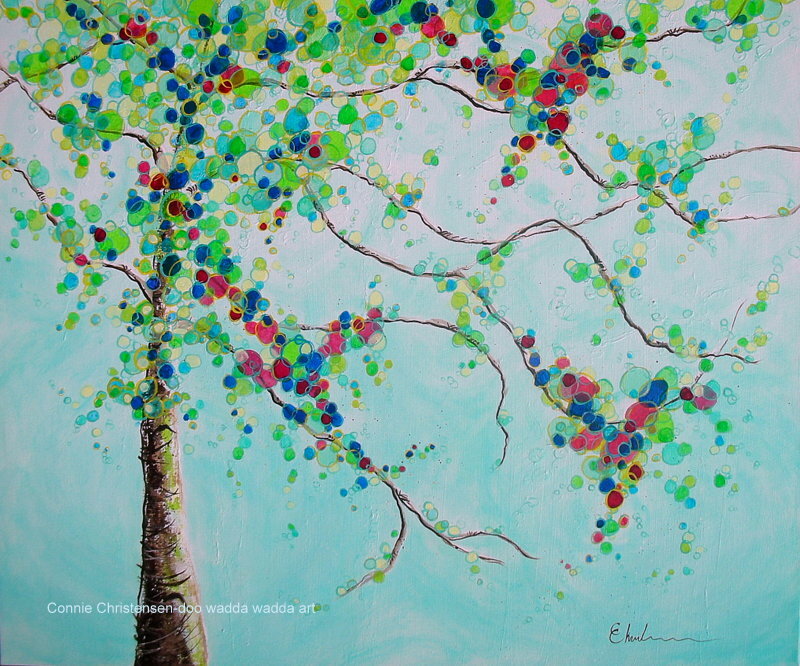 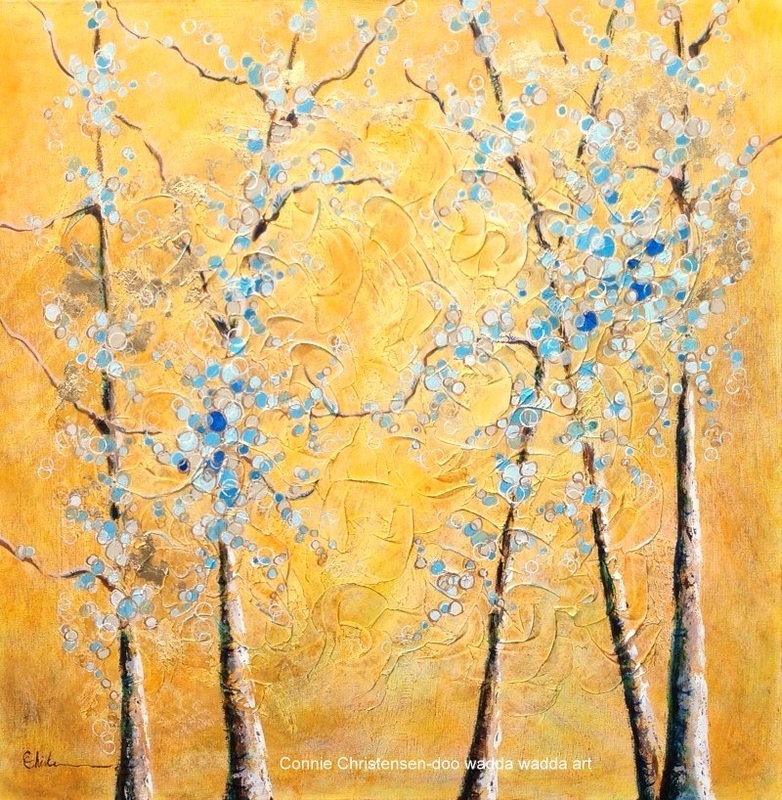 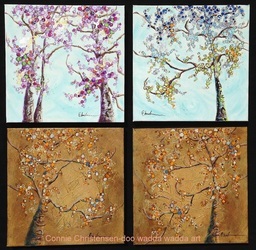 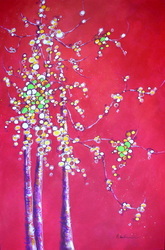 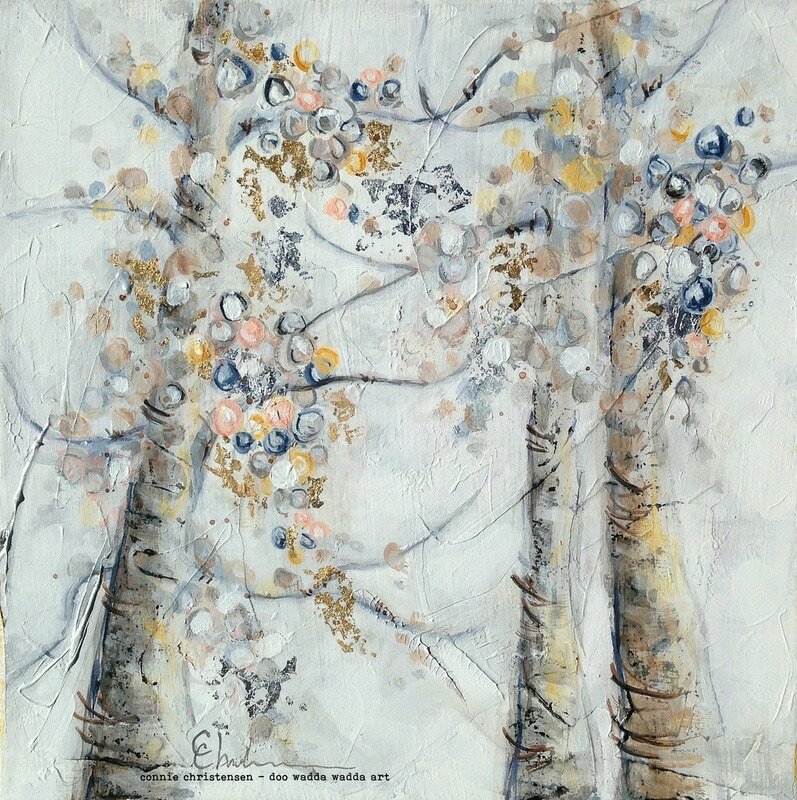 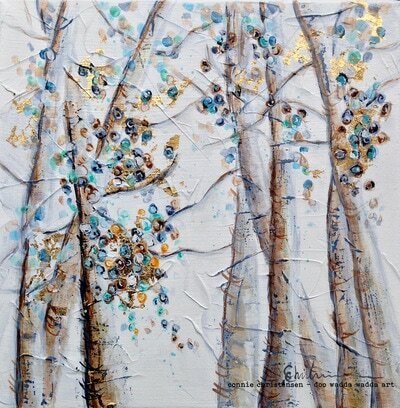 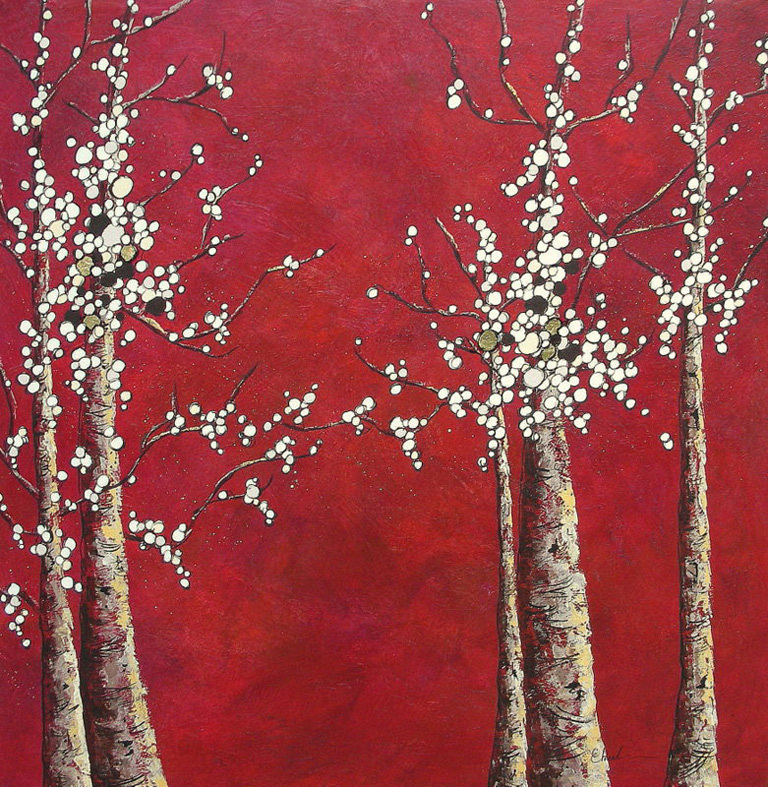 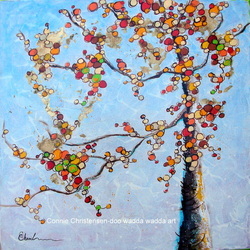 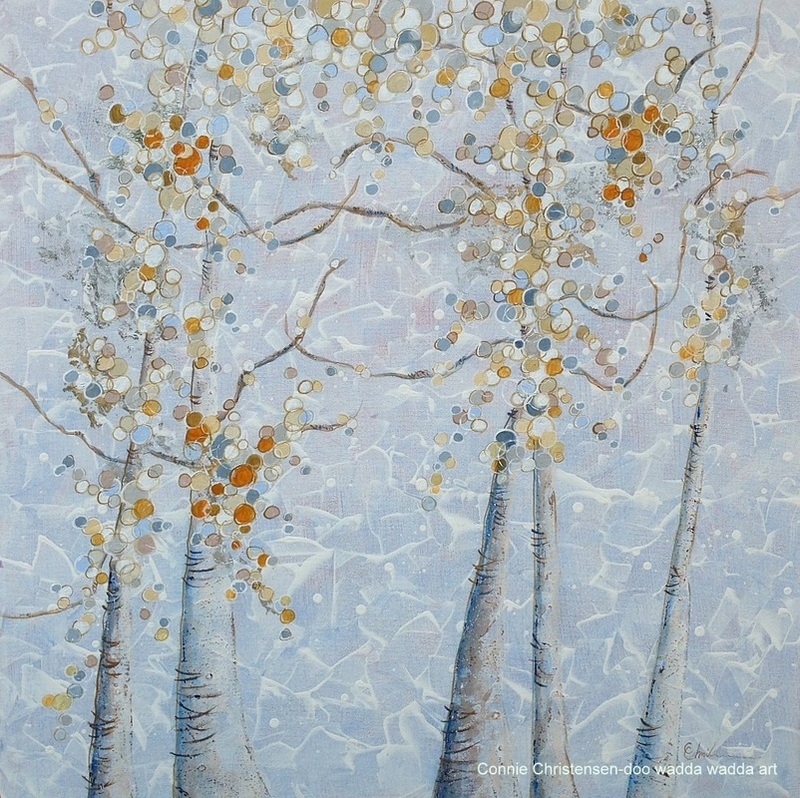 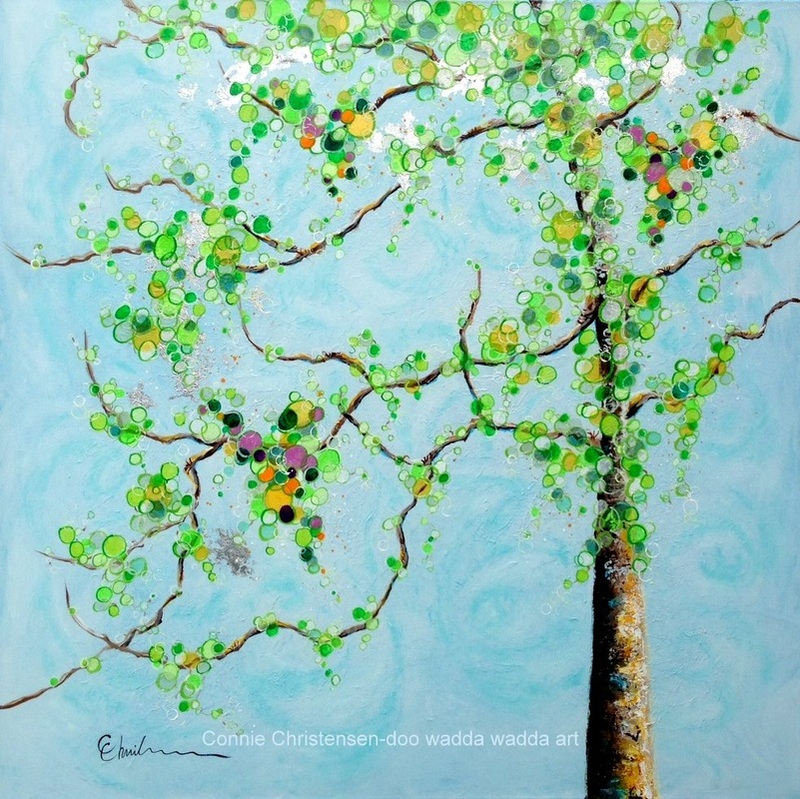 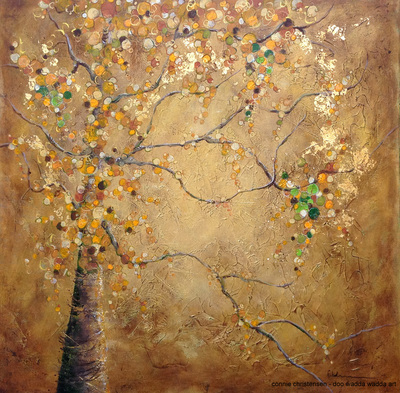 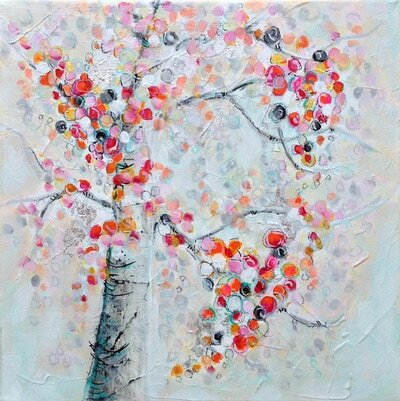 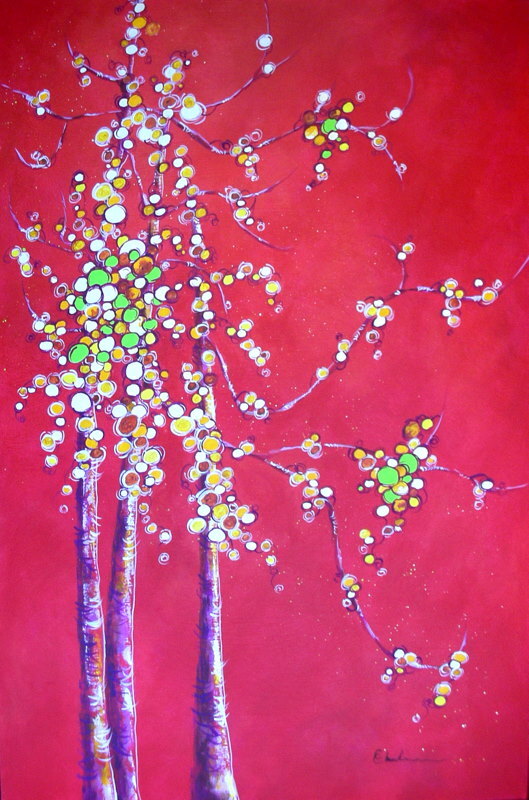 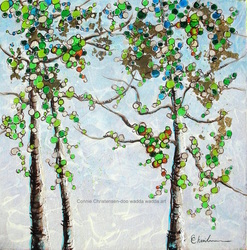 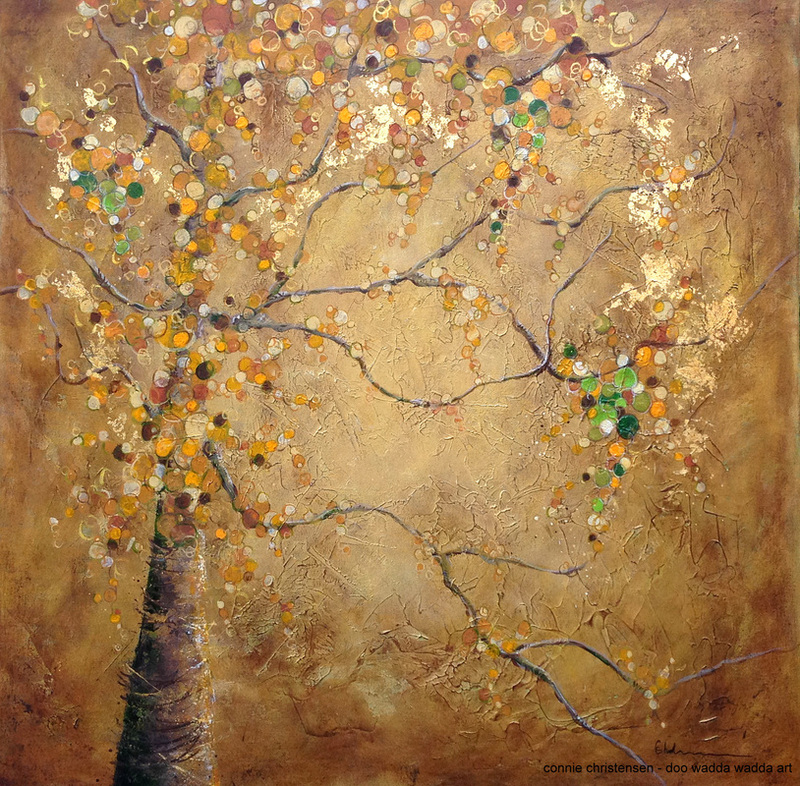 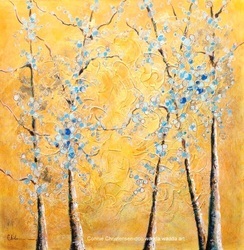 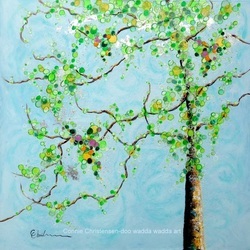 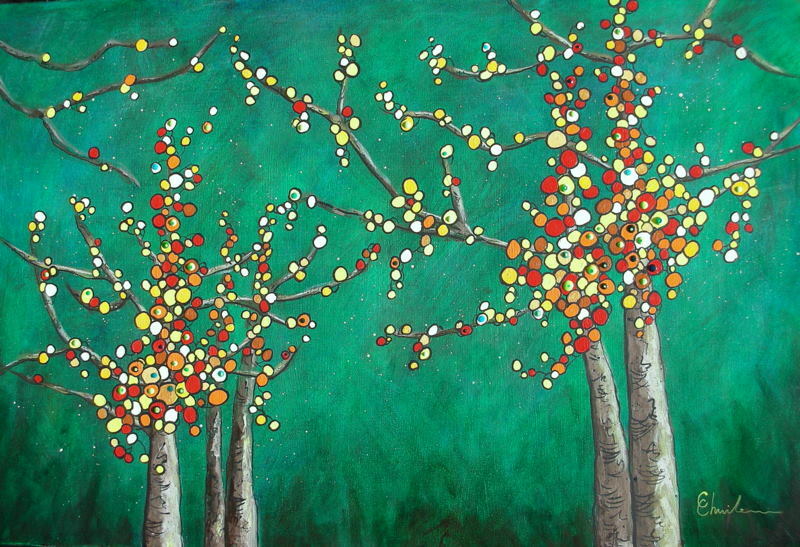 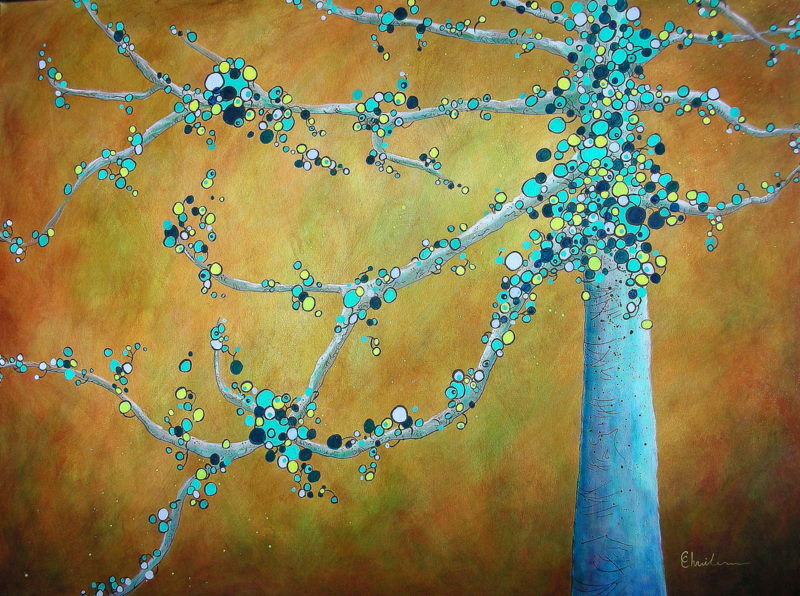 'Bubble Trees' are my interpretation of Trembling Aspens. 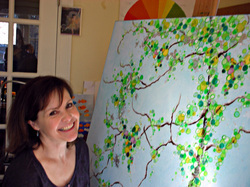 I omit the pointy part of the leaf and end up with a simple circle. 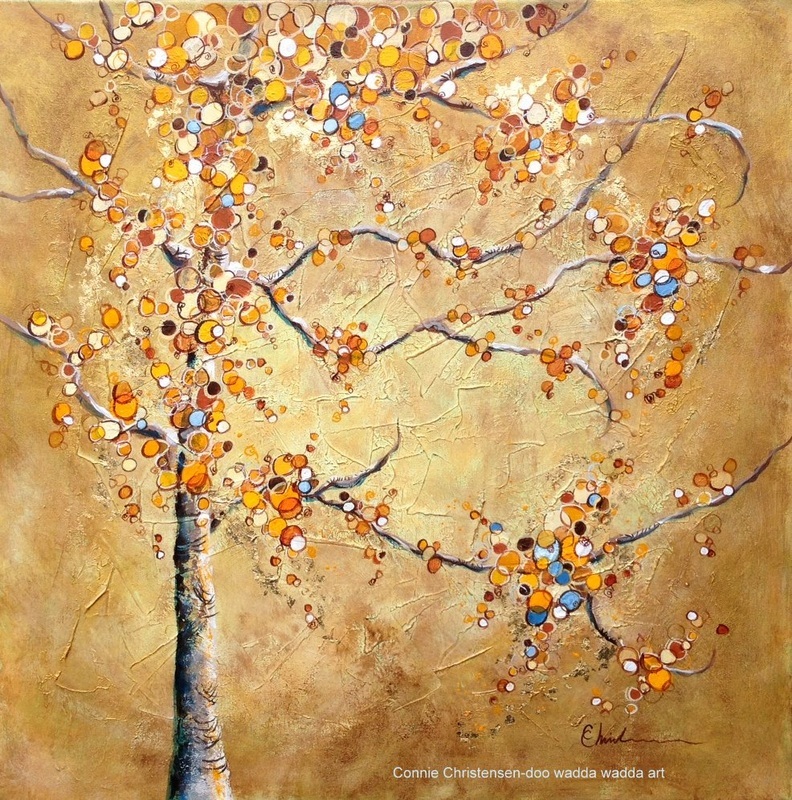 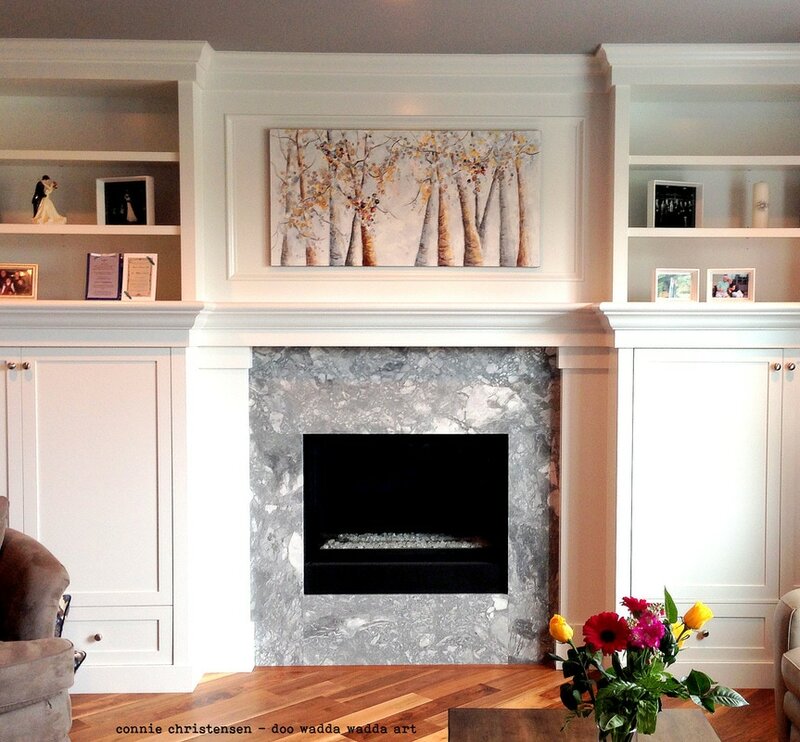 These leaves are painted in various sizes, colours and opaqueness and when scattered lightly over the lyrically hanging branches, create an overall effect that is fresh and simple. 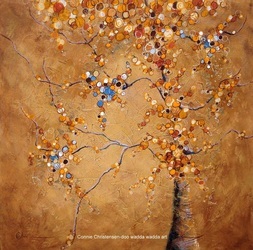 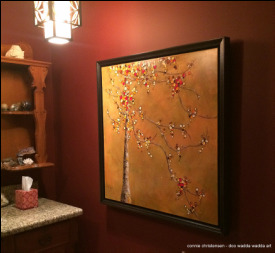 Each painting exudes a different sentiment. 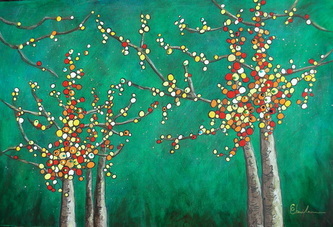 The Bubble Trees can be earthy and warm. 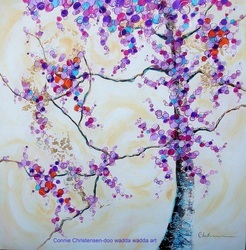 Or bright and cheeky. 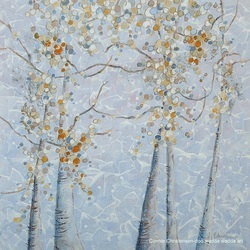 Or serene and quiet. 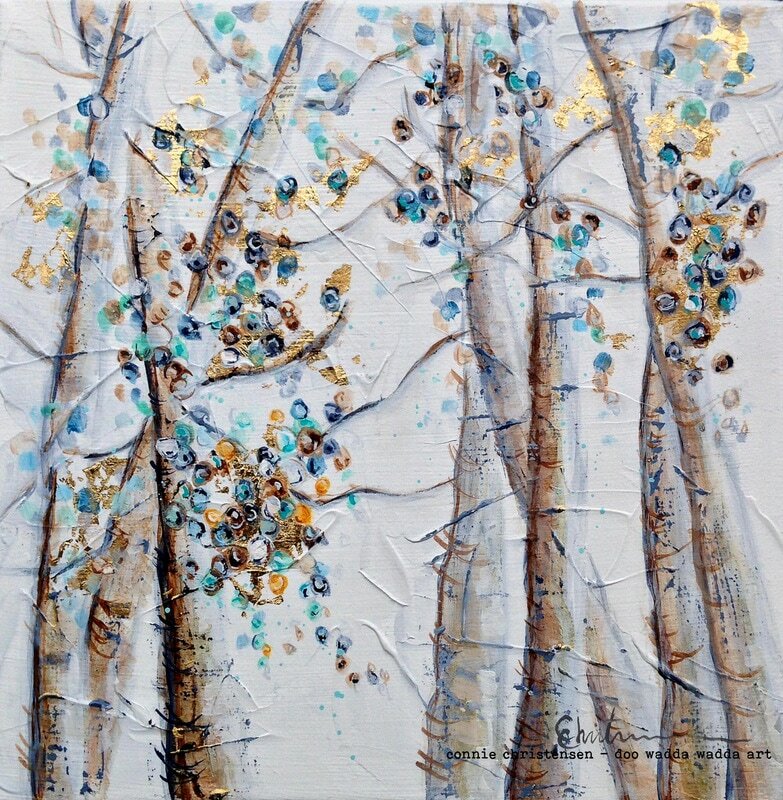 Backgrounds are chosen to complement each tree and sometimes have broken patches of gold and/or silver leaf representing distant leaves. 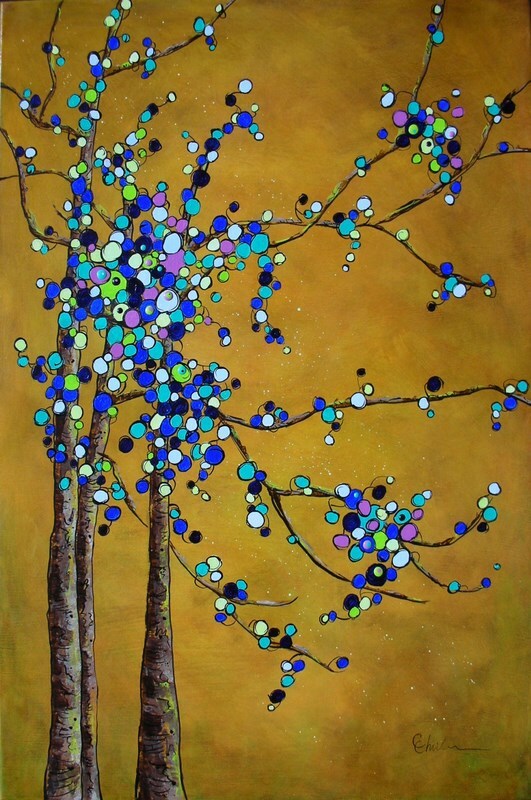 Each colour is chosen to mix perfectly with others. Easy viewing.